Manchester (population 354) is located in lower-eastern Illinois about 15 miles southeast of Jacksonville. This places Manchester in southeastern Scott County. U.S. Route 67 is the main roadway through Manchester. The Illinois Central Gulf Railroad is railroad line currently running on tracks throuh town. A branch of the Marks Creek flows by the east side of town. We are interested in the history of Manchester and its school system. 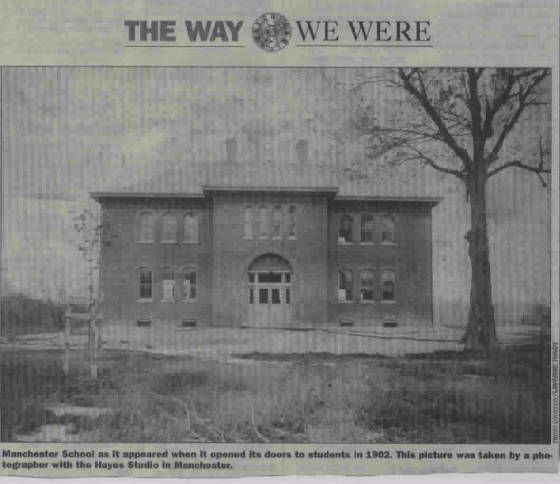 We would estimate that Manchester had begun an educational system for its children in the late 1800s. 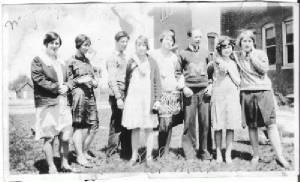 A high school was probably established in the late 1800s to early 1900s. Manchester High School most likely served the town through at least the 1940s. 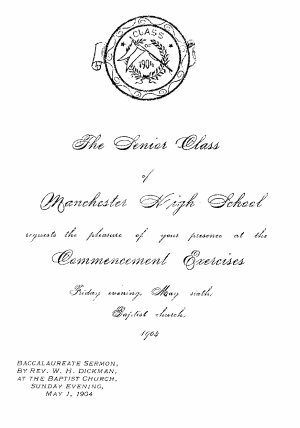 Manchester High School was a three-year high school with the students attending Roodhouse for the final year if they desired. 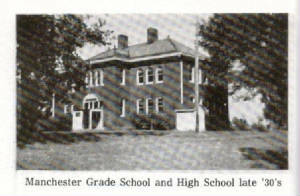 It is likely that Manchester High School was eventually annexed to the Winchester school system in the late 1940s, though it is possible this effort was a few years later. Patty Clark shares this information with us regarding the use of the Manchester school building"
"The High School and grade school were all in same building. The school had two rooms downstairs for primary grades, one room upstairs for 7 & 8th grade and one for high school. The Principal's office was at the top of the stairs. The school had a basement, where some boys did woodwork. 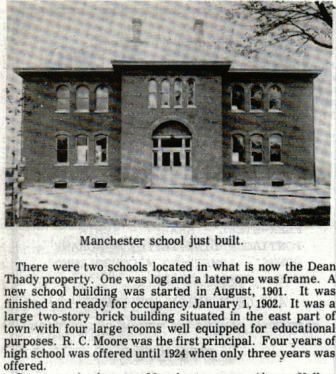 The original Manchester school building is still standing, though it has fallen into a sorry state. The photo above was originally taken in 1902 when the building was opened. The grade school was held on the first floor while the Junior High and High School classes (grades 9 - 11) were held on the second floor. The kids of Manchester attend school in Winchester to this day. Manchester HS team mascot: the "Blackhawks"
Unfortunately the teams and athletes from Manchester did not win any IHSA hardware. There had to be some great athletes and great teams at Manchester High. 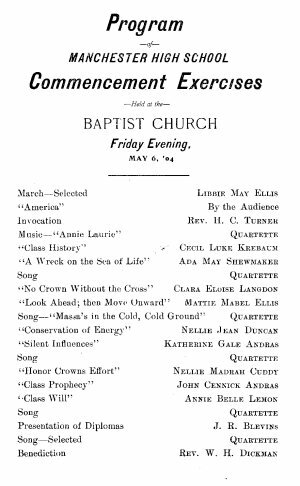 We are also searching for the quick facts information listed such as school team nickname, school colors, and fight song. We would also be interested in the conference affiliation of Manchester High.